Trailering your horse to a show or clinic? How to prevent and recognize this dangerous infection. Shipping fever is the common name for pneumonia associated with transport or travel, caused by either a viral or bacterial respiratory tract infection. Pneumonia usually starts with an influenza or herpes virus infection, which in and of itself doesn’t cause a lot of clinical disease – the visible signs of a virus may just be fever, a runny nose and a slightly depressed animal. A viral infection, however, can predispose the horse to a bacterial infection – especially if the horse is not known to be sick or is transported anyway. Other factors associated with travel such as increased dust, reduced airway clearance and stress (which suppress the immune system), all create an environment that makes it easier for bacteria to take hold. The other predisposing factor for shipping fever is exercise-induced pulmonary hemorrhage. Any horse competing in high-intensity exercise such as barrel racing or eventing can have small hemorrhages in their lungs, resulting in pools of blood. Blood sitting in lungs is the perfect medium for bacteria to grow in. When these horses are then transported over a long distance – back home or to another show – they have a perfect risk factor for developing full-blown pneumonia. A typical example of a timeline for developing shipping fever can look like this: your horse travels to a show, the travel causes stress, there’s mingling with a lot of unknown horses and your horse picks up a virus. After the horse contracts the virus, there is a prepatent period during which the virus multiplies and spreads through the body, but no clinical signs are visible. Two or three days later, your horse starts to appear depressed and may have a fever. The fever is an important signal, but it can be easy to miss unless you’re taking your horse’s temperature daily. It may be another day or so until he gets a runny nose. Some horses will show they’re not feeling well by acting lethargic and going off their feed, and some horses will power on through with no obvious signs – just like people. Problems can occur when the horse is shipped back home or taken to another show the next weekend. The conditions inside the trailer could result in bacterial pneumonia. Within two to five days of first developing a runny nose, the horse may start to show more serious respiratory signs such as coughing and difficulty breathing. These signs will tip off most owners that it is more than just a minor virus the horse can fight off on its own. Horses that have not been trailered recently can display these symptoms, of course, but in this case, the illness is just referred to as pneumonia. Pneumonia is the general term for any infection of the lung. If you suspect your horse may have shipping fever, start with basic biosecurity measures including isolation and monitoring for fever, in order to prevent the spread of respiratory disease. When your horse comes home from the show, he should be kept in a pen away from other horses for five to seven days, with his temperature monitored daily. This is to give the prepatent phase of a virus time to develop. New arrivals should also be isolated. Be sure to clean the trailer and other equipment thoroughly before using it again. Most respiratory disease is spread through horse-to-horse contact, or through buckets, hoses or human hands. It’s not a very hardy disease in the environment and will not travel long distances in the air. 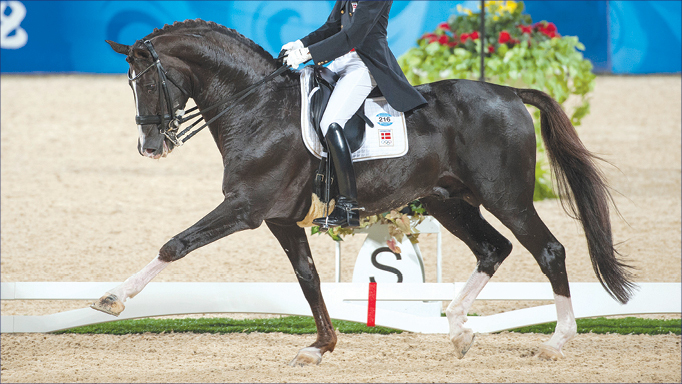 Get in the habit of taking your horse’s vital signs while he is healthy so you know his baseline (normal) temperature. Normal temperature in horses is 37°C to 38°C while 38.5°C to 40°C would be considered a fever. Owners should also watch for an elevated respiratory rate: a resting rate of 10 to 16 breaths per minute is normal, depending on the size of the horse. How Is Shipping Fever Treated? 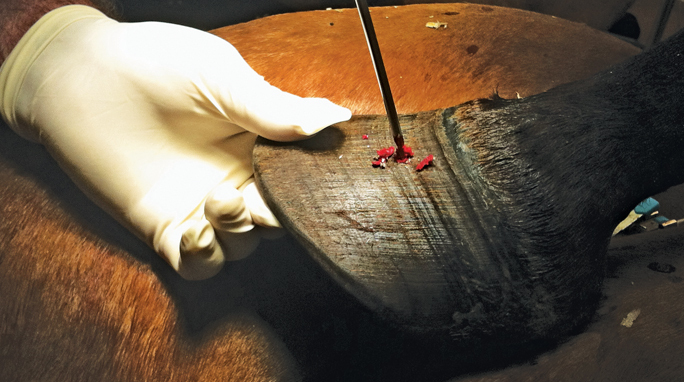 A veterinarian should examine your horse, starting with a proper diagnostic workup to tell if it’s a viral or bacterial infection. With a viral disease, rest and supportive care while the infection runs its course is the most important thing. Depending on your horse’s temperament, he may stop eating and drinking. If he stops drinking, he is setting himself up for dehydration, impaction colic and other problems. It’s much easier to steer your horse in the right direction if you can get on top of it right away. He may need intravenous (IV) fluid or treatment with an anti-inflammatory drug such as Banamine (flunixin meglumine), under the directive of a veterinarian, to reduce his fever. Bacterial pneumonia would be treated with antibiotics. For any respiratory infection, a key treatment component is rest – the lungs need time to recover. 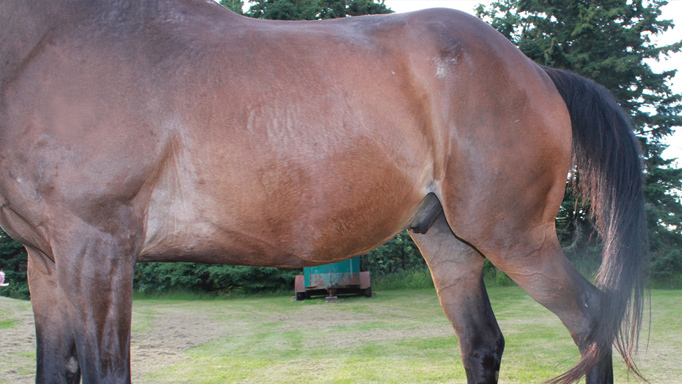 With a viral respiratory disease, your horse should be given two weeks of rest. He can be started back to work gradually and should reach his prior level of fitness after about two weeks of work. For pneumonia with an active bacterial component, it really depends on how the individual horse responds to treatment. It’s considered resolved when radiographs of the lungs and blood work look normal. Horses will normally need to rest at least four weeks. Bacterial infections can also have long-term consequences such as lung abscesses or chronic, lingering pneumonia. In severe cases, the horse may never return to its former athletic capacity. If possible, leave your horse free to put his head down in the trailer. Your horse’s airway continually secretes mucous to protect itself. If his head is tied and that mucous can’t be cleared out, it will build up in the airway. If your horse must be tied, provide frequent rest stops every couple of hours so he has an opportunity to stretch his head down. This is also a good time to offer him water. Reduce dust and other airway irritants by wetting or steaming any hay provided. Bedding can help absorb ammonia fumes from urine, but you may want to lightly dampen it beforehand or use a dust-free bedding. Be aware of the length of time you are asking your horse to travel. 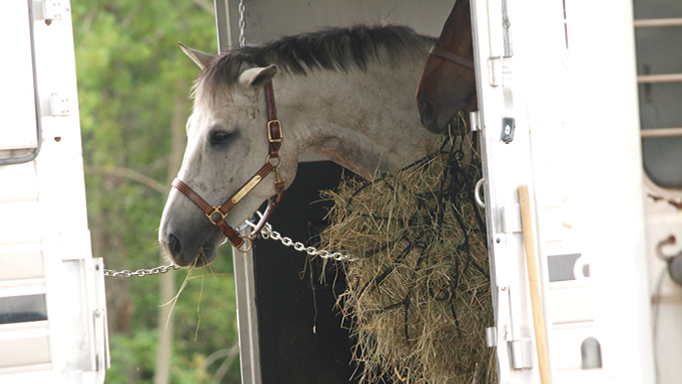 Eight to 10 hours in transport is not uncommon, but even six to eight hours is a long time for a horse to be on a trailer. Minimizing long travel times is a good factor for your horse’s overall health and well-being, in addition to disease prevention. Clinically, viral and bacterial infections can look identical. You may have heard that a clear nasal discharge means a viral infection and a thick green or yellow discharge means a bacterial infection, but this is not true in all cases. The best thing to start with is a blood test to tell what type of infection it is. It’s important because viral infections cannot be improved by treatment with antibiotics, and the overuse of antibiotics weakens drugs’ ability to be effective when we need them. If it’s a virus, a nasal swab may be done to determine which virus you’re dealing with, especially if equine herpes virus or its neurological form is suspected. This helps us determine if steps are needed to manage a potential outbreak. Learn about the various types of acupuncture and its place in equine veterinary care.